Tortrix moth caterpillars are small, green caterpillars that roll themselves snugly in plant leaves and feed inside the rolled leaves. The pests affect a variety of ornamental and edible plants, both outdoors and indoors. Tortrix moth damage to greenhouse plants can be considerable. Read on to for more information and learn about tortrix moth treatment and control. Tortrix moth caterpillars are the larval stages of a type of moth belonging to the Tortricidae family, which includes hundreds of tortrix moth species. The caterpillars develop from egg stage to caterpillar very quickly, usually two to three weeks. The caterpillars, which pupate into cocoons inside the rolled leaf, emerge in late summer and early autumn. This second generation batch of larvae usually overwinter in forked branches or bark indentations, where they emerge in late spring or early summer to begin another cycle. 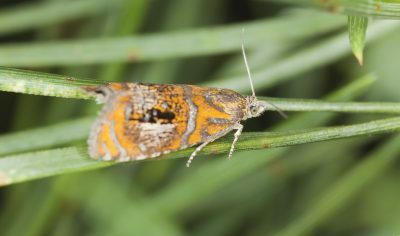 The first steps involved in preventing and controlling tortrix moths is monitor plants closely, and to remove all dead vegetation and plant debris in the area under and around the plants. Keeping the area free of plant material may remove a handy overwintering spot for the pests. 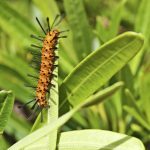 If the pests have already rolled themselves up in plant leaves, you can squish the leaves to kill the caterpillars inside. This is a good option for a light infestation. 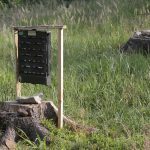 You can also try pheromone traps, which reduce populations by trapping the male moths. If the infestation is severe, tortrix moths can often be controlled by frequent application of Bt (Bacillus thuringiensis), a biological insecticide created from a naturally occurring bacteria. As the pests feed on the bacteria, their guts rupture and they die in two or three days. The bacteria, which kills a variety of worms and caterpillars, is nontoxic to beneficial insects. If all else fails, system chemical insecticides may be necessary. However, toxic chemicals should be a last resort, as insecticides kill many beneficial, predatory insects.